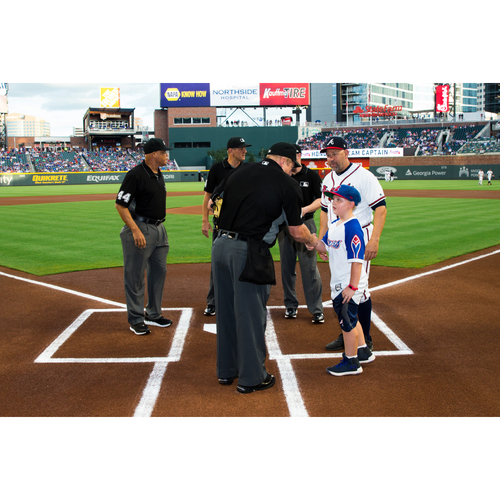 Bid on the opportunity to win four (4) tickets to the MARCH 25th Atlanta Braves game as they take on the Cincinnati Reds and serve as the Honorary Team Captain! The Honorary Team Captain escorts the lineup card with one of the Braves' coaches to homeplate to meet with the umpires before the game. First Pitch is at 7:20 PM EST. Net proceeds will benefit support of the Lee County/Southern Georgia Disaster Tornado Relief efforts. Please Note: Winner MUST BE Available to Use this opportunity on March 25th ONLY. No Exceptions. There will not be an opportunity to make-up this experience during the 2019 season.